See Passtime for more information. 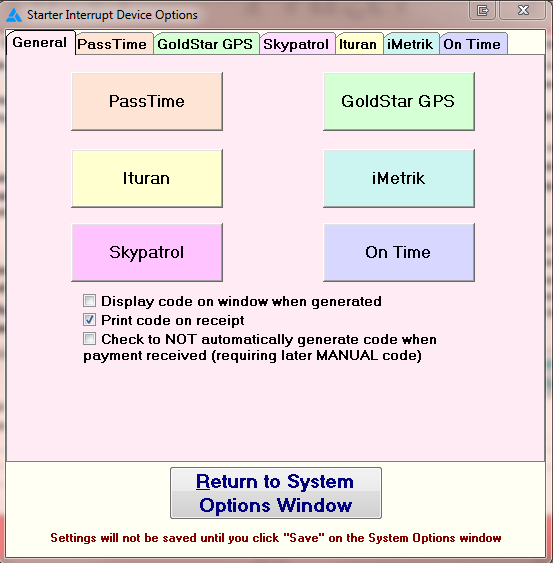 See GoldStar GPS for more information. See Ituran for more information. See IMetrik for more information. See Skypatrol for more information. See OnTime for more information.